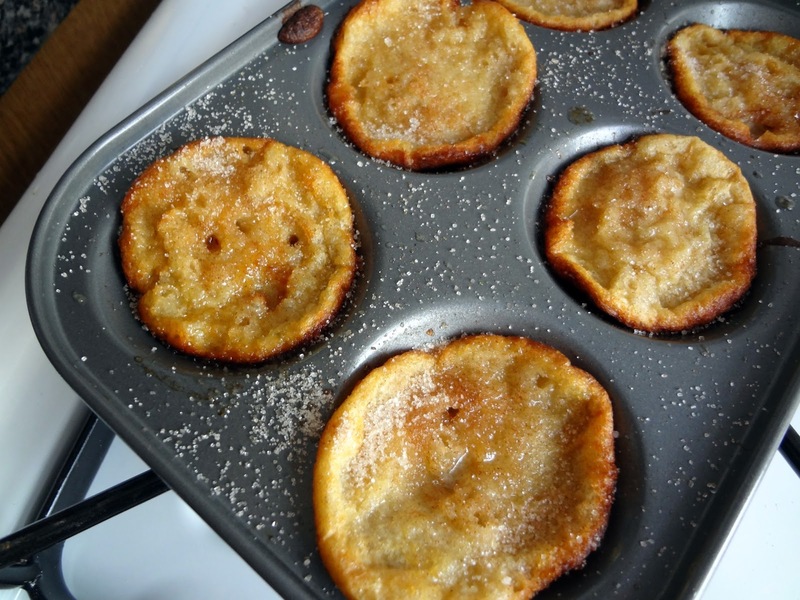 1/3 cup sugar + 1/2 tsp. ground cinnamon-mixed. For pan and on top. Position oven rack in the lower third of the oven. Preheat to 450 degrees. 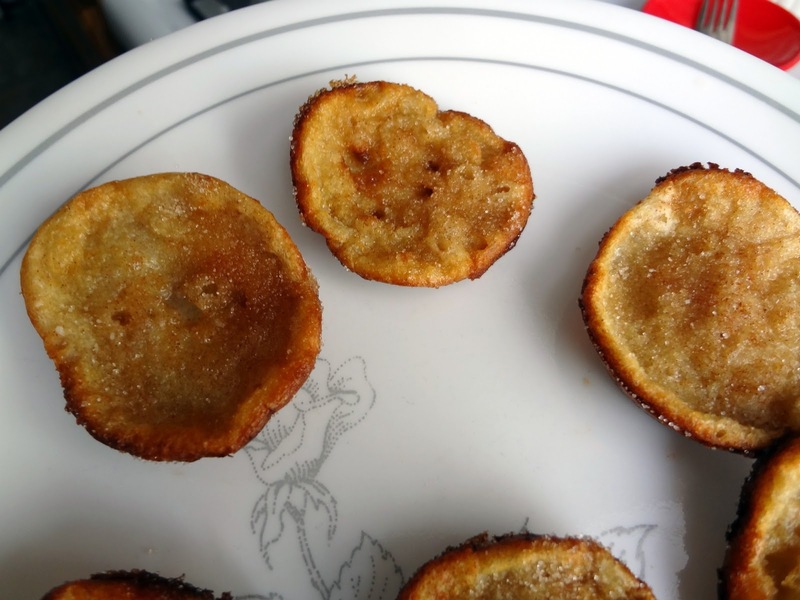 Brush a mini muffin tin with melted butter and sprinkle some cinnamon&sugar mixture in the cups and place the tin in the oven, while it preheats. 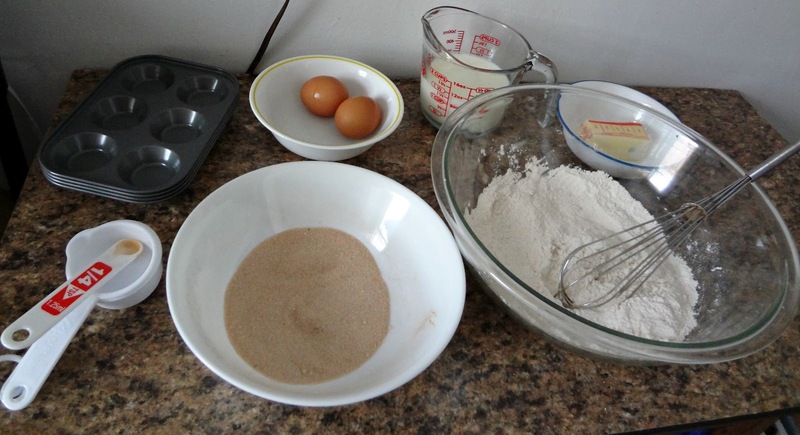 In a large bowl, whisk together dry ingredients until there are no lumps. In a measuring cup mix milk, eggs, and 2 tbsp. melted butter. Stir the wet into the dry ingredients until just combined (some lumps will remain). 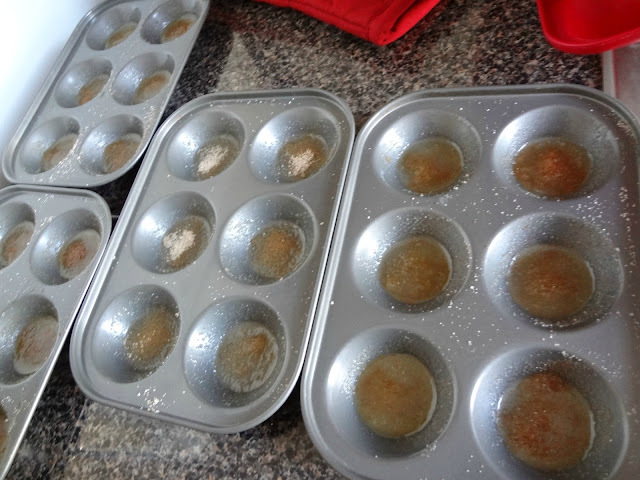 Remove hot tin and pour batter in, within 1/4 in. of the rim. Sprinkle cinnamon&sugar mixture of top of each batter filled cup. Bake 10 minutes (DO NOT OPEN THE OVEN). Reduce heat to 350 degrees and bake 8-10 more minutes, until golden brown and puffed. 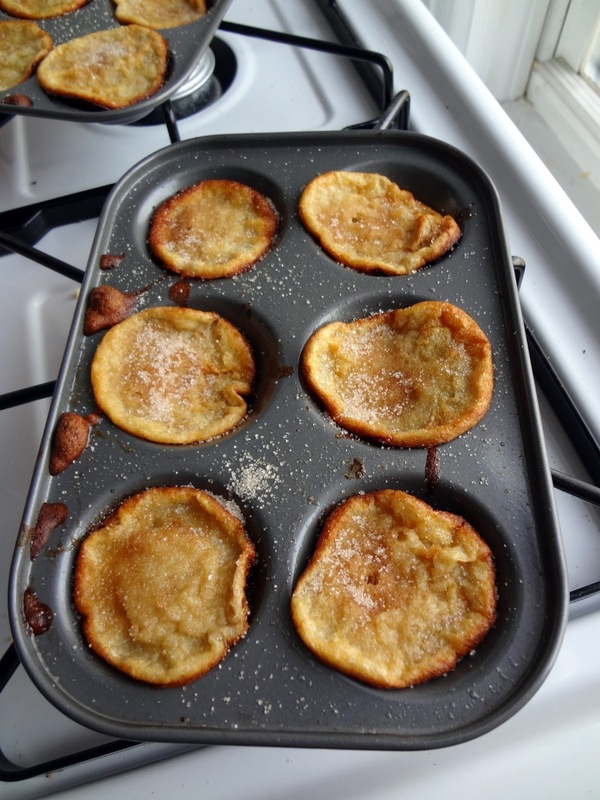 Brush tops of popovers with remaining butter and cover with more of the cinnamon&sugar mixture. You know what else is cool? These were the first photos of food I took with my new camera! That's a very healthy perspective - and so true :) And thanks so much for sharing this recipe with Made with Love Mondays. I am glad that you do not need any special pans to make these! They do look tasty, any pastry or bread with cinnamon always is a welcome sight! Delicious recipe. Also, you are absolutely right, now is the time to start all those holiday traditions so they will be in place when kids do come along! Having traditions that are just for you and Micheal and having family friendly traditions make for the best holidays! Very true--it's just super difficult when it's only us. And these are super delicious-I promise! I adore popovers. I'm going to try these this weekend!!! YUM! those look delicious! definitely trying these Sunday! I've never seen these before but just love the idea of them- yum! Great site! They look delicious! Excellent recipe and excellent blog!